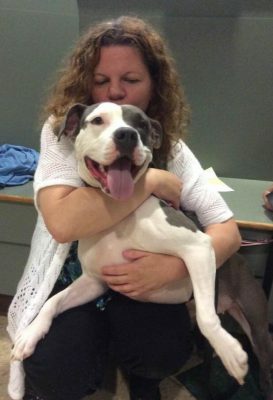 Dog Pet insurance plans are becoming popular options for responsible dog owners. Pet owners are frequently faced with difficult decisions about pet health. Dogs often get sick, injured, or suffer from hereditary problems that require frequent visits to the local veterinarian or emergency facilities. In the early 2000’s, veterinary costs started rising rapidly and people began looking to an option that has been available for over two decades in the United States, and for the better part of a century in Europe: Pet Insurance Plans. Pet insurance plans may not be the right decision for every dog owner, as coverage and costs vary depending on factors, such as: options and conditions covered and the health and age of your dog. If you are considering pet insurance, there are some things to consider before making any final purchases. This is a purchase, after all, which will greatly affect the life of your pet, and you as the pet owner not only through your bank account, but your personal relationship with your pet as well. Pet medical insurance works much the same way as human health insurance. Policy coverage depends on a number of variables such as age of pet, species and breed, and preexisting and hereditary health problems or concerns, and of course on the current health condition of your dog. For instance, pet insurance for olderdog-pet-insurance dogs will most-likely cost more than for a young dog. Careful consideration must be taken when choosing whether or not to purchase a dog health insurance. If you are someone who routinely brings your pet to have checkups, prescriptions, and general wellness care, a pet insurance plan may be something to look into. However you must also consider how much budget you will have and if it makes more sense to pay for the health and care of your pet over a spread out period of time through insurance payments, or if you have enough set aside in case your pet requires any major care such as surgery. 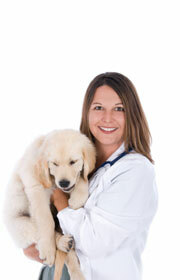 Veterinarians have broken a lot of ground in the abilities to care for pets and the procedures available. MRI scans are much more readily available than in the past, as well as radiation therapy and organ transplants. Along with these new procedures, the cost of veterinary care has raised sky high, with some procedures doubling in price. Veterinary care options that may seem small at first can increase the bill very quickly as well. Such things as overnight stays, shots and minor surgeries can quickly add to the cost. Insurance policies can cut down on the vet bill considerably, with some paying out as high as eighty and ninety percent. There are sometimes caps on pay out though, as well as other costs to the policy holder such as deductibles and co-payments. Pay out options also vary, with some companies offering a percentage on the entire vet bill and others offering a fixed rate depending on the policy agreement at the time of signing. Many pet insurance policies are available right away, of course depending on payment and underwriting procedures. Read the fine print; however, as some are limited for a probationary period and some policies exclude certain conditions and procedures. It is common for diseases such as hip dysplasia and certain other medical procedures to be excluded from insurance policy coverage, though not all companies exclude these. Also, some policies that have exclusions only exclude them for the first month, year, or other probationary period. Payment for dog pet insurance is done the same way as health insurance for humans. Co-pays, deductibles, and monthly, quarterly, bi-annual or annual payments can be made to the insurance provider. Many policies allow you to keep your own veterinarian, and it is also common for insurance policies to allow you to use any licensed veterinarian in the country. This of course is very important to know if you plan to do any traveling with your dog, but make sure to find out if the policy you choose includes coverage on your pet when traveling outside of the area. Often your veterinarian has worked with insurance companies in the past, or has clients who use insurance policy coverage on a regular basis and can give a good list of recommendations. Another option is bundle rates offered by the Veterinarian for things such as routine checkups, dental care, and medical prescriptions. This can be a smart choice for you depending on the needs of your pet and the commitment you as the dog owner want to make to the health and care of your pet. With the large array of options available, it is important to do ample research and talk to your veterinarian about pet medical insurance. It may be the right decision for you to make regarding the health and care of your dog, and it has the potential to greatly assist in payments in case anything bad happens to your pet. It is becoming increasingly popular due to the continuous rise in veterinary costs and the new technologies that allow procedures that were not available even a few years ago to be available today. Expensive treatments such as MRI, radiation therapy, and transplant surgeries can be an option for pet owners with pet insurance that otherwise might have to say goodbye to a beloved part of the family. Your dog is an important and valued member of your family and he deserves the best care you can give. Dog pet insurance plans can be a valuable assist in allowing you to assure he has that care.